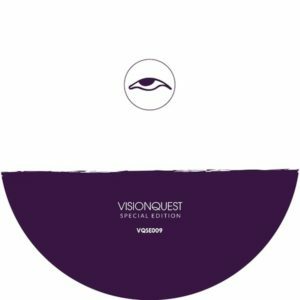 Visionquest Special Edition returns this September with Sakro’s ‘Supersymmetry’ EP. Edgardo Alonso aka Mexican producer and DJ Sakro has been rising up the ranks over the past few years with his raw, stripped-back approach to house seeing him release material with revered imprints in the field such as Raum...musik, Housewax, Karlovak and Fathers & Sons. Here we see the Sakro joining the roster of Visionquest offshoot Special Edition, the vinyl only imprint home to material from Ricardo Villalobos, Craig Richards, Wareika and Konrad Black amongst others. Up first on the package is ‘Lusyd’, a shuffling percussion fuelled number featuring swinging snares, murky atmospheric pads and choppy sub bass hits at its core. ‘Jazz In Mars’ follows embracing robust rhythms and an amalgamation of jazzy sample snippets alongside resonant synth swells to create a sturdy peak time workout. ‘Voices’ opens the B-Side of the release with heavily swung drums, smooth ethereal chords and lumpy sub frequencies while a dark and brooding vocal ebbs and flows throughout the composition. Title-cut ‘Supersymmetry’ then closes out the release with an energetic rhythmic drive, intricately modulating synth flutters and snaking pad lines. Sakro’s ‘Supersymmetry’ EP is out on Visionquest Special Edition 22nd September 2017.